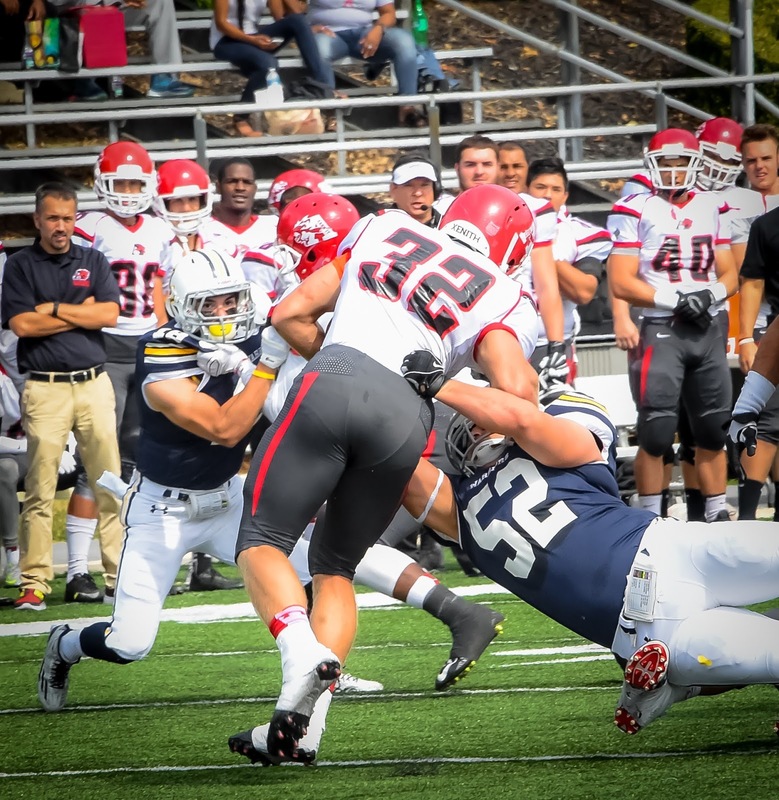 MAC Football News: Mr. MAC - My Football Week 7 Pick Results "Perfection Busted"
Mr. MAC - My Football Week 7 Pick Results "Perfection Busted"
After two weeks of perfection on my picks, Mr. MAC has been "Busted!" Let's get to my excuses! OK, OK Monarch fans. I blew this one! You have to admit, I was perfect on the spread. Four points, but for the wrong team. Lycoming has not played well in King's house lately and this game was a continuation. Thel play of the game was King's final march to win highlighted by a fantastic, unbelievable, dive for the ball catch. A must catch or the game was over for them. And Sophomore Wide Receiver Marquis Miller (Reisterstown, MD / Franklin) did the impossible to keep their hopes alive. King's started the scoring with a scramble from Senior QB Tom Hehre (Ventnor, N.J. / Holy Spirit) halfway through the first quarter. The go ahead score came from Freshman Running Back Gabe Brown (Camden, DE / Polytech) with just 52 seconds remaining. Well, winning at the end is called "Putting the team away" and King's did that for sure Saturday! 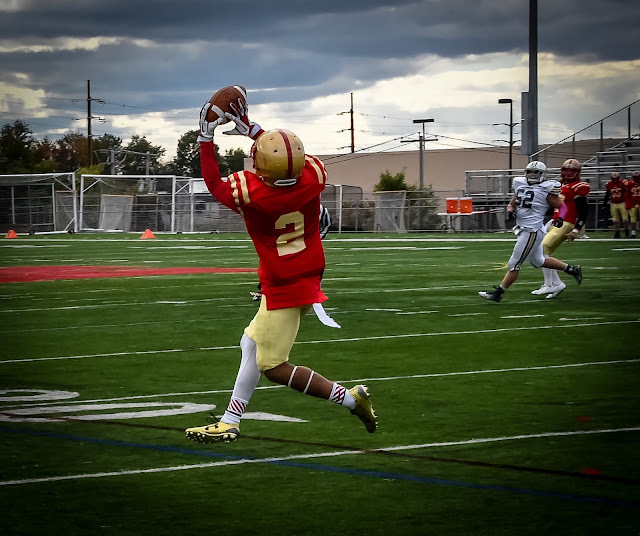 King's travels across town to Dallas, PA to play the Misericordia Cougers on Saturday. I thought that FDU-Florham would give Albright a better battle, but in no way did I think Albright would lose this game. I thought the Lions might be looking ahead to DelVal and that would hurt them. Well, the Albright coaching staff seems to be tuned into one game at a time. They are all important. The Devils did play the Lions real tough for the first quarter, but Albright brought on a barrage of scoring, ie. 20 points in the second quarter, 17 points in the third quarter and 14 points closing out the game. Albright used the airways four times to pay dirt. They ran for three touchdowns and had a pick six from Defensive back Grant Boehler. Albright is surely a force to be dealt with. Look for another great game coming up Saturday against Delaware Valley University. It is our MAC "Game of the Week." It should be a great game. Called this game almost right on. Widener is still a team that can win the MAC Championship and will be tough on opponents the rest of the year. This game was almost a mirror of the Albright vs FDU-Florham game as Misericordia and Widener were scoreless after one period. But then the Pride machine took charge of this game. Running back Robert Getz scored three times in the second quarter giving Widener a 20 - 0 lead. Ryan O'Hara then kicked a 34 yard field goal rounding out the first quarter scoring. Throw in passing touchdowns to T Stelzer, a four yard grab from quarterback J Puckett. Then wide receiver Philip Ragona scored on an eight yard completion and Haydn Warren on a two yd touchdown from backup quarterback Alex Krivda. Finally throw in MAC's Defensive Player of the Week Brandon Jones. He recorded seven tackles, including four solo, and also had 3.5 sacks. The tackles totaled for losses of 28 yards. Congrats to Brandon. 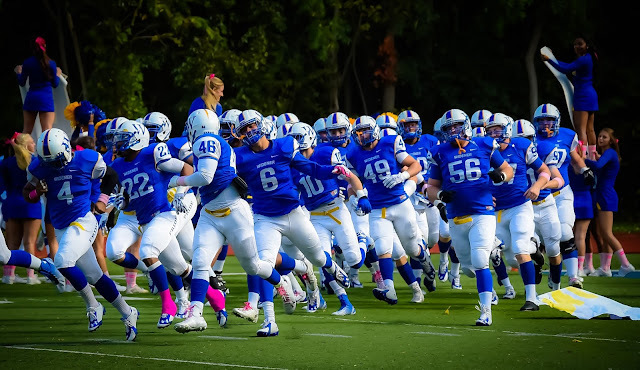 Widener takes on Stevenson Saturday in our "Game to Watch." It should be duesy!